Today I have an "eclipse" card to share. 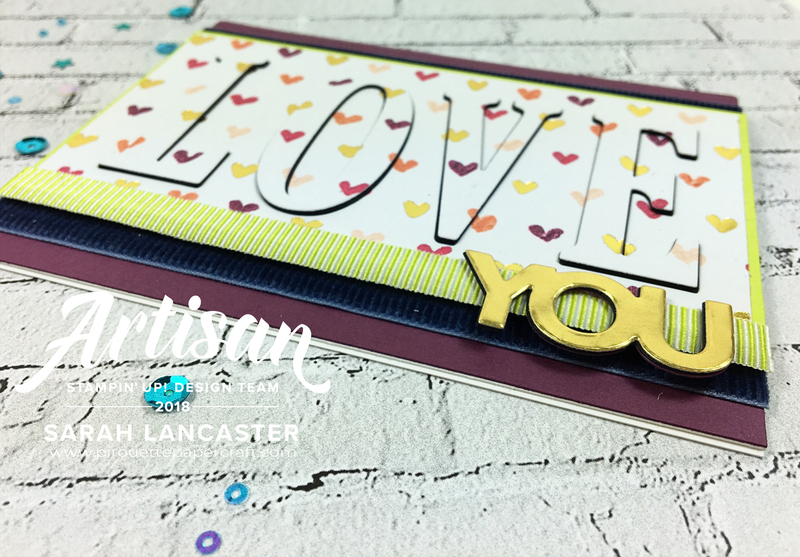 Super easy to do and really makes the fabulous Painted with Love DSP stand out on your card. And there is no stamping involved - there's no law against that is there? 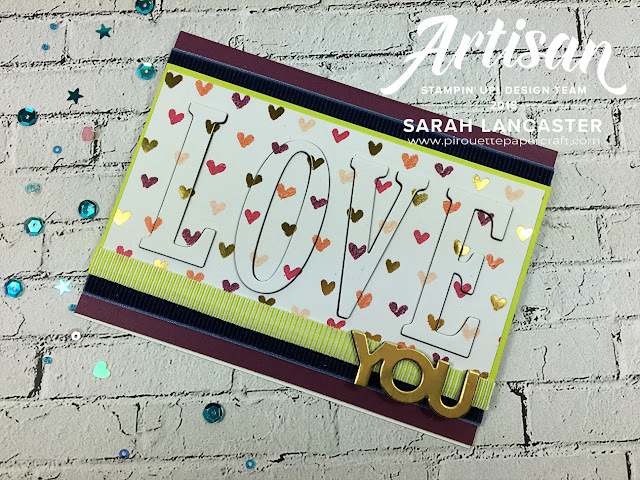 One reason to buy those Large Letter framelit dies - just think of all the possibilities of using this technique to make your cards. Another reason, remember Sale-a-bration and the "YOU" die on this card is part of a die set you can earn for free with a 120€/£90 spend in my Stampin' Up! online store. So it's time for a treat! My first eclipse card was the "Hello" cat one for my customer thank you cards. So it was definitely time to pull out these dies for this technique. 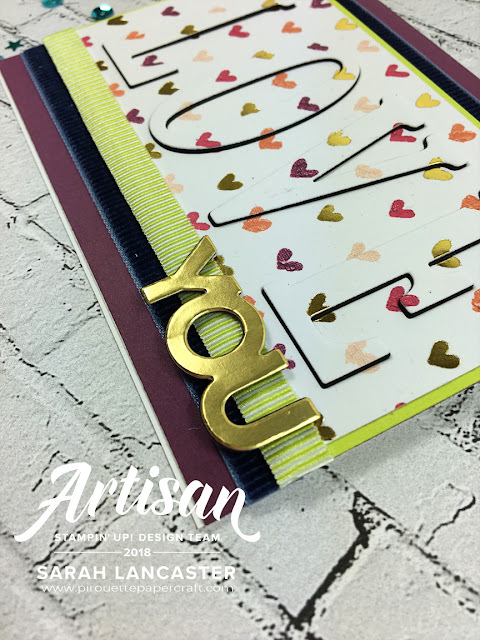 Going for more masculine colours here with the luxurious Night of Navy corduroy ribbon and Lemon Lime Twist card stock and ribbon. I die cut three extra sets of letters in basic black card stock to make sure my message stands out. This paper is truly beautiful and remember that love is not just for Valentines Day. You can use the wonderful designs for all types of celebrations. So give this technique a go - you'll be hooked I'm sure!